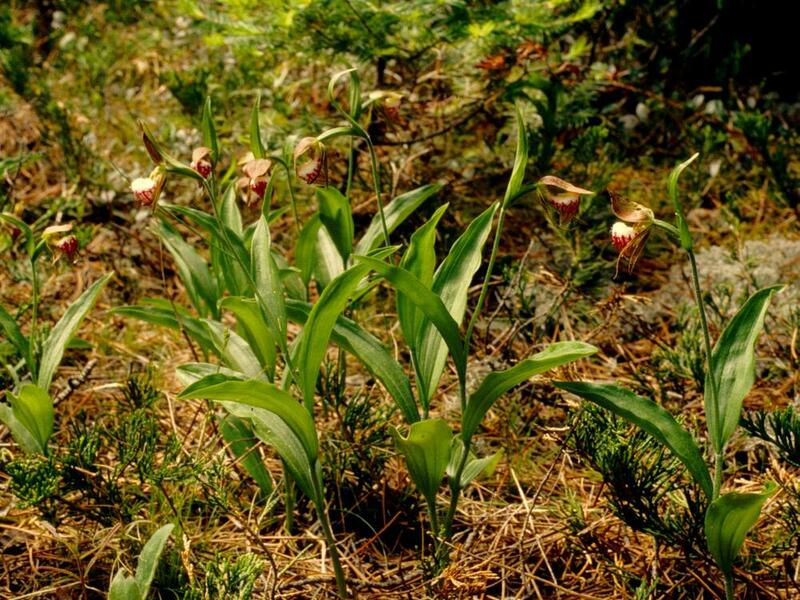 Cypripedium arietinum, commonly known as Ram's Head Lady's Slipper, has a limited distribution across northeastern and central Canada and the U.S., from Quebec to Wisconsin. 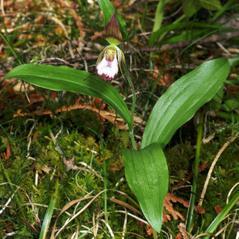 It has a distinctively conical and pointed labellum, which is white with reddish veins and covered with thin white hairs. 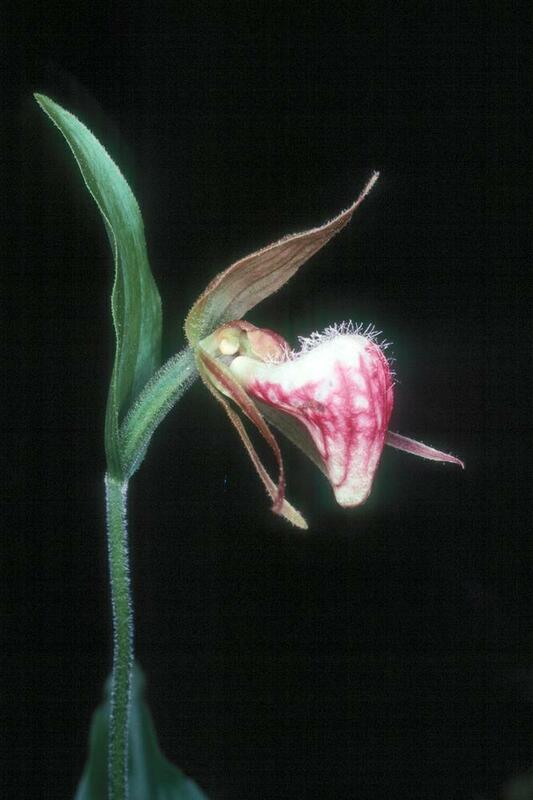 The dorsal sepal curves to form a hood over the labellum, while the lateral petals and sepals, purple or green in color, form spirals which twist away from the pouch. 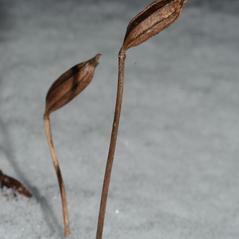 It produces 3 to 5 blueish green leaves on its stems. 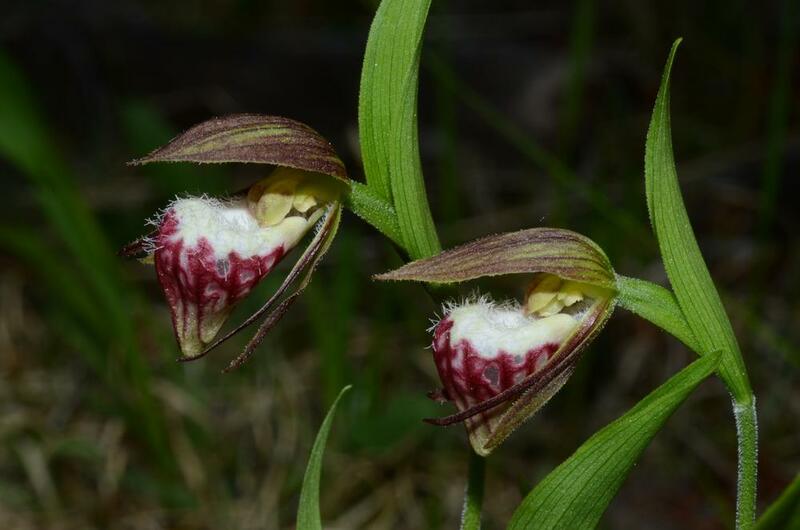 Although this orchid is known to be pollinated by bees, it primarily reproduces vegetatively through offshoots from its rhizome, sometimes resulting in clusters of over a dozen plants in a single location. 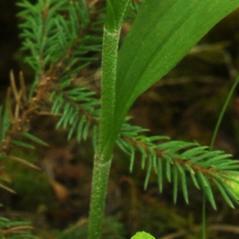 It grows in coniferous or mixed forests, swamps, and mossy bogs, often near cedar, spruce, or juniper trees. 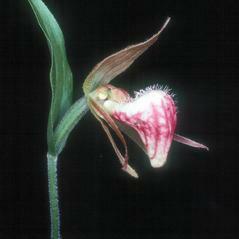 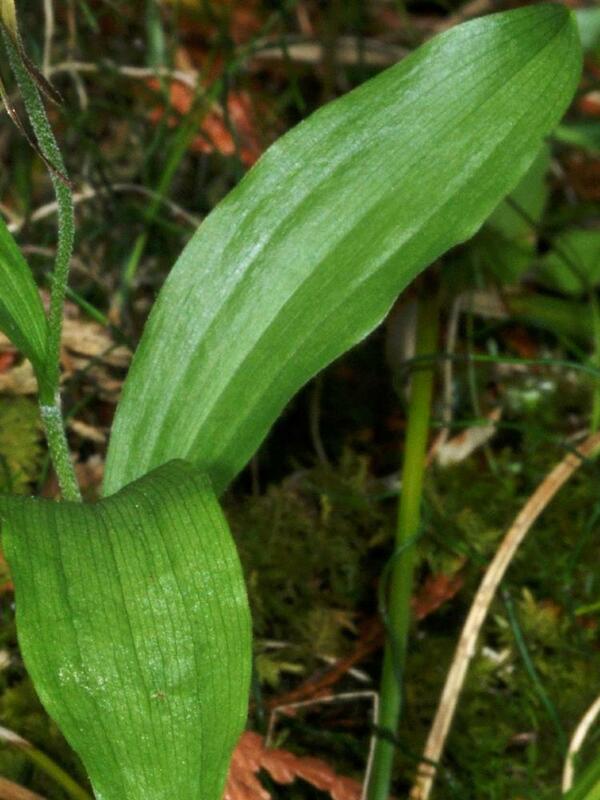 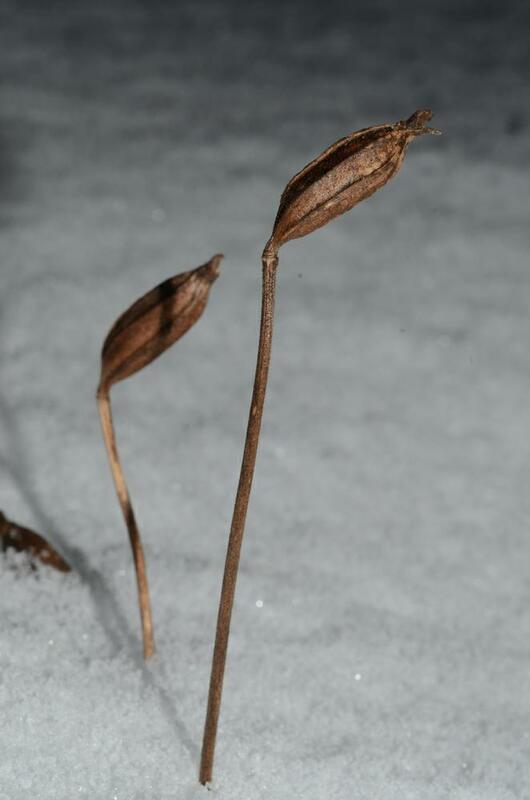 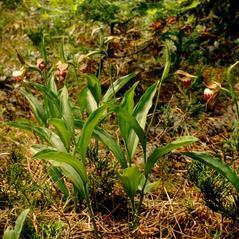 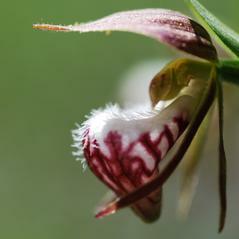 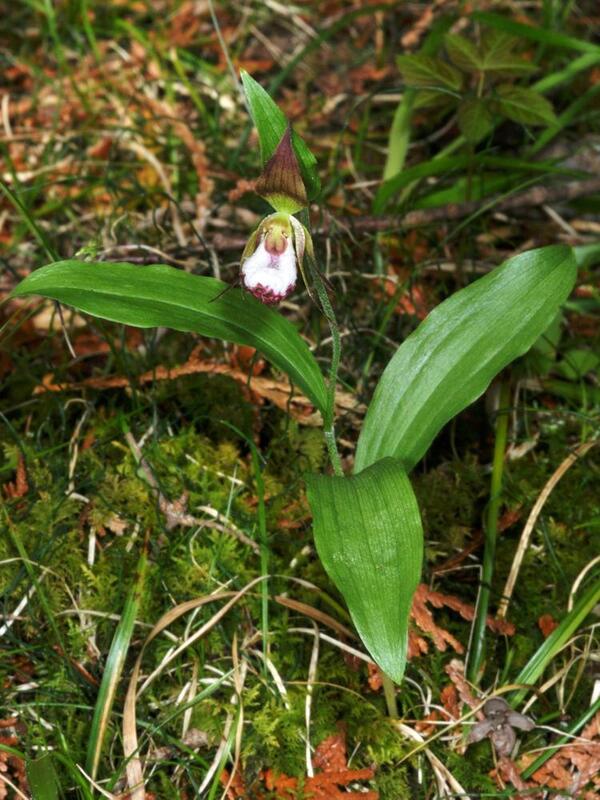 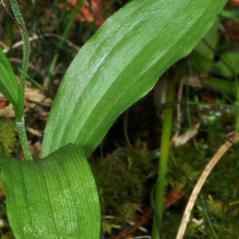 Cypripedium arietinum is considered globally vulnerable, and is rare or endangered throughout much of its range. 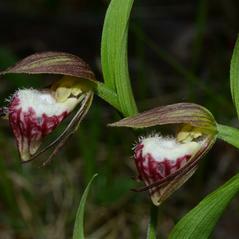 This orchid is pollinated by female halictid bees such as Lasioglossum coeruleum. 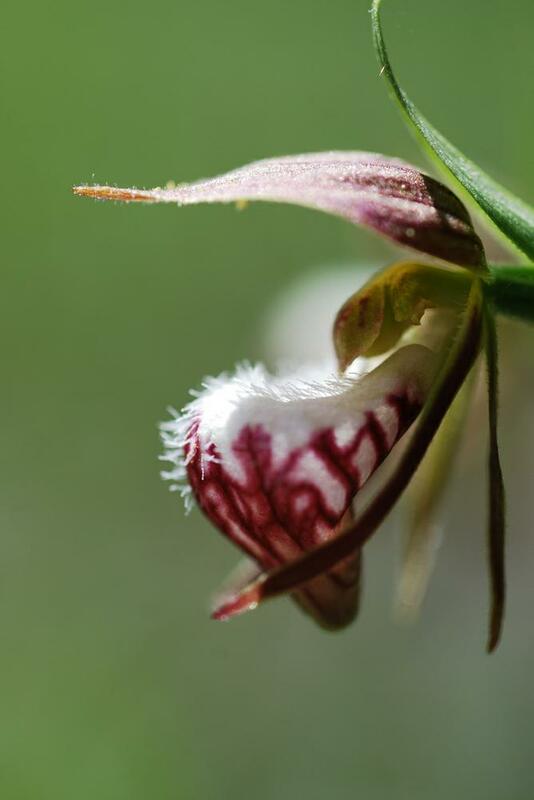 The showy white and magenta flowers produce a sweet vanilla fragrance that attracts bees into the pouch formed by the labellum. 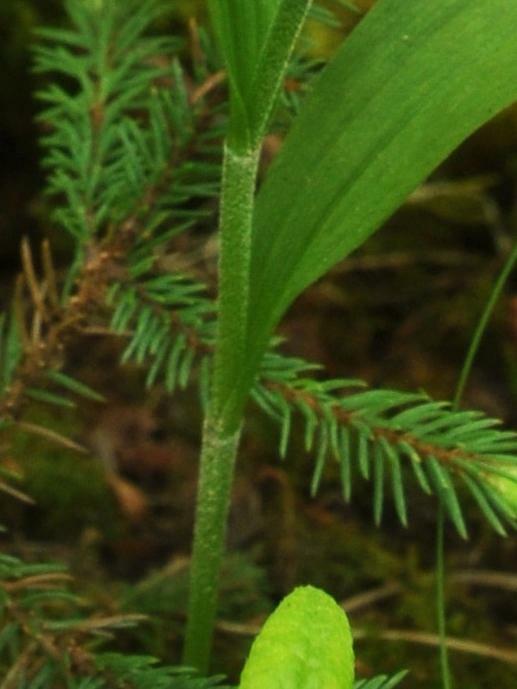 The bee enter the flower and exits with pollen on its thorax.